From leading categories to starting bank partnerships and weaving the Big Billion Days story together, Smrithi Ravichandran has donned many hats in her 7 years at Flipkart. Here, the Flipkart veteran and IIM-K gold-medalist talks about the mantra of integration and Flipkart’s culture-policy sweet spot that’s helping its women employees thrive. When Smrithi Ravichandran took the stage at Indian Institute of Management, Kozhikode (IIM-K), she was met with wide-eyed adulation. Probably fitting, since, just 8 years ago, she was on the other side of the stage, perhaps just as wide-eyed a student. It was Friday, June 29, and she, along with two senior panelists, was speaking at the premier institute’s orientation for the new batch of business students. “They were really looking up to our panel and we got a lot of questions thrown at us. 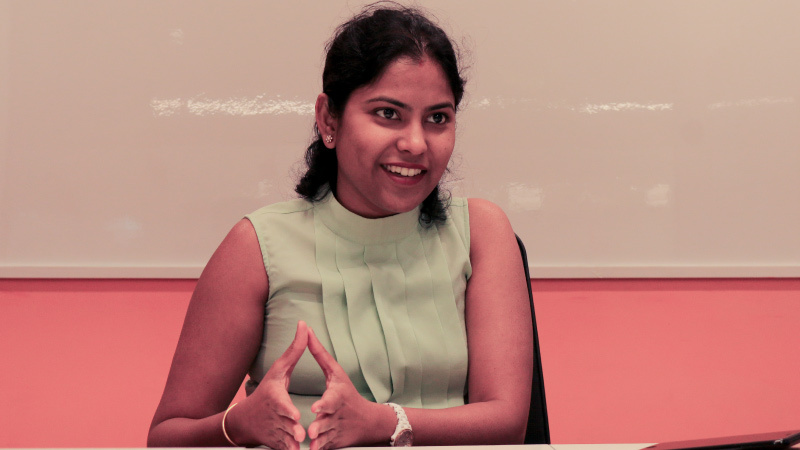 There was especially a lot of curiosity on Flipkart and the e-commerce ecosystem,” Smrithi says. In the audience were 33% women. And both the men and women were curious to know – how do you balance work and family? “They saw me as a fast-riser in a startup, so a lot of the questions were also from that angle,” she adds. Smrithi Ravichandran, a Chennai-native and a gold-medalist from IIM-K, has been with Flipkart for 7 years. “That equals 14 years elsewhere,” she laughs. Right from heading a category to sales to business finance to growth and payments, Smrithi has done it all at Flipkart in those 7 years. She is now Senior Director, Growth, at Flipkart. At Flipkart, Smrithi Ravichandran pretty much holds everything together for the company’s Big Billion Days (BBD) sales. When should the festive season sales be? What specific consumer segments should they target. What offers, what inventory, what customer experience — she is incharge of weaving this entire story together, from execution to the end result. Of all the Big Billion Days she’s been part of, it’s the one from 2016 that comes to her mind. “In 2016 we pulled off the near impossible,” she says animatedly. “We were coming from behind and morale was low.” That particular year, the Independence Day sale season, which feels the pulse for the following big sale, hadn’t gone too well either. There was even talk of Flipkart losing market leadership. “The first thing we did was raise morale. We wanted to get everyone on board with the mindset to win — something that to many was looking more and more unlikely,” Smrithi reflects. The teams were pushing through the festive season, working under high pressure and tense situations. “There were war of words, waterworks, drama, action — you name it! And then, amidst all of that, we did a phenomenal job. The competition didn’t know what hit them,” she grins. About 5 months ago, she says, she came across an article about Walmart’s investment in Flipkart. The article mentioned that the festive season of 2016 was the turning point for Flipkart. “The moment I read that — that felt really good,” she smiles. “The best part about my job is that I get to do three different things at any given time.” At present, Smrithi Ravichandran handles payment partnership and growth, massive events like BBD and strategies on how to promote products and services to customers. In other words, a whole lot. “That I have to do three things at any given time!” she laughs. Smrithi joined Flipkart at what she calls a very crucial point in life, when she was newly married. “I really enjoy the diversity of what I get to do. But it’s also a very high-pressure profile, and more pressure usually equals more hours,” she says. “Some days I do feel bad going home at 9.30pm only to find my son asleep. But I make up for it by dropping him to school the next day or, if he has a holiday, staying with him till 11am before I come to work,” she adds. This, she says, is her balancing integrating act. “I actually heard this about 8-9 months ago at a conference in Pune. Work-life integration as opposed to work-life balance. 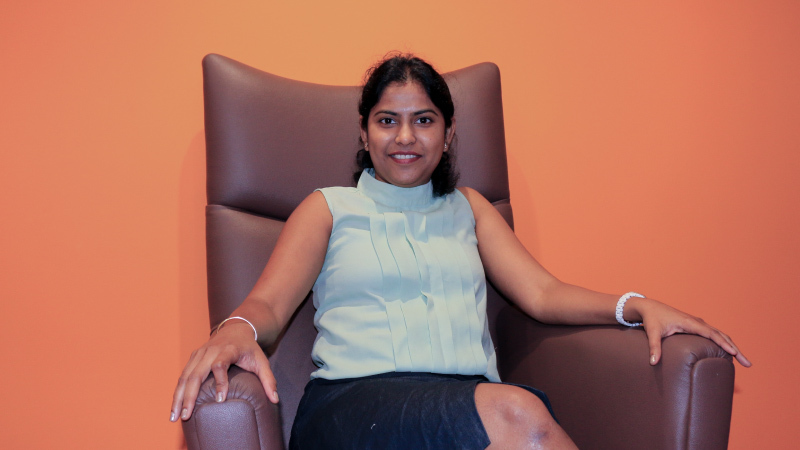 And it’s something that’s catching on fast,” Smrithi stresses. “Some days it’s all work but some days, if you need to take care of something, you need to go ahead and do just that. I’ve tried to do the 9-5 but it just didn’t work for me,” she adds. 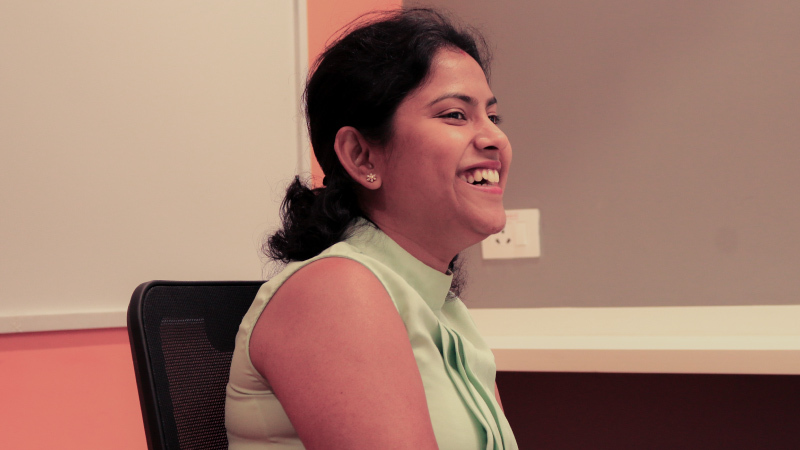 Smrithi joined Flipkart in the early days, when the company was still taking shape. “When I joined, we didn’t have too many policies in place,” she recalls. Daunting as that may seem for someone who moved from an organization with set policies, she found a refreshing culture in place at Flipkart. “People around me genuinely did not treat women any differently. With or without any policies, there was no implicit or explicit bias that a woman could not do a certain role. This made me look forward to coming into to work,” she says. It was around the time she was in the family way, that discussions were on to set in place strong and fair policies in the company. “I remember being asked for inputs at the time,” Smrithi says. Soon, even before the Indian government introduced the six-month maternity policy, Flipkart had introduced one in June 2015. 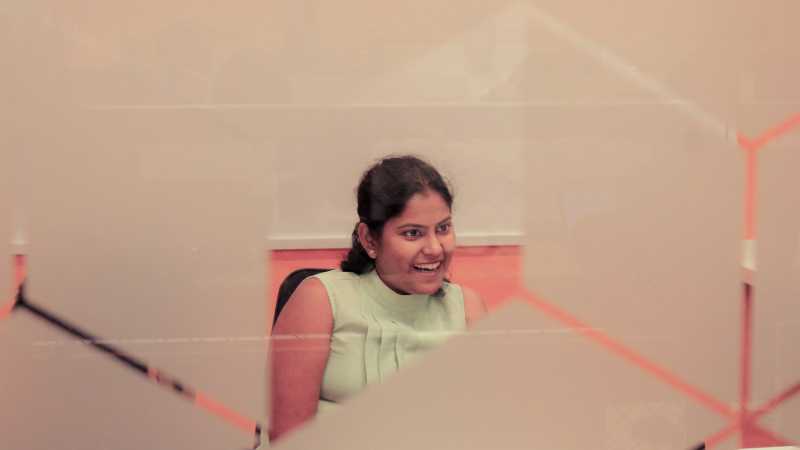 Smrithi had returned to work after her maternity leave by April the same year. “We also introduced an adoption policy, which was very forward-thinking,” she adds. Shortly after, the Indian government rolled one out too. Flipkart also has in place a strong Paternity Policy that includes flexi work-hours, emphasizing that childcare is an equitable responsibility for both men and women. “When I look around and see women going down the family way and having such good careers, it’s affirmation that these policies have helped us. This is the juncture where many women in India drop off the workforce. While policies are in the forefront, it’s also our implicit acceptance towards a work-life integration that has helped propel this success ratio of women returning to work after pregnancy at Flipkart,” Smrithi stresses. 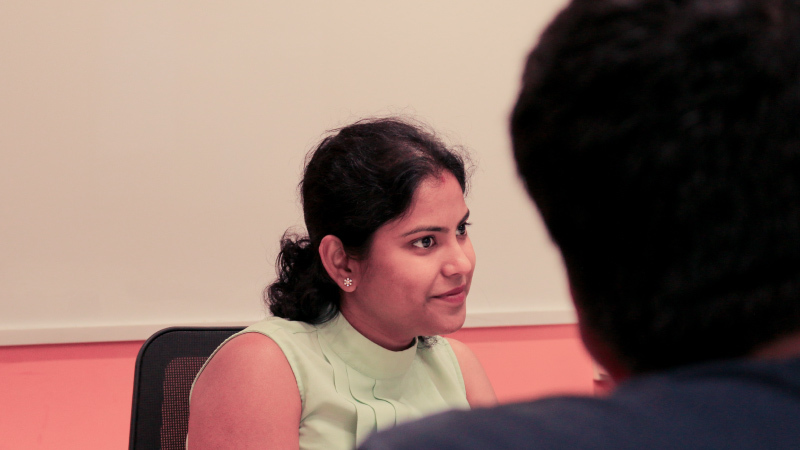 After college, Flipkart was nowhere on Smrithi’s radar. Instead, she joined her dream company. “I got into a company that I thought I wanted. Then, I moved to Flipkart. That move was purely gut-based, but looking back, I wouldn’t have done it any differently,” she says. But what does she do to relax? “Learning relaxes me!” she insists. At IIM-K, a standing ovation followed her talk. “You need diversity, not just gender diversity, but being open to different viewpoints and people, and trying to bring out the best in them and each other,” she told them.